"Well delivered course well equipped. Very high standard, good range of different kit available. Instructors tailored specific facets of activities to individual needs." "Very professional – Brilliantly run, good communications, right level." "The course was really well run. Everything I needed to know regarding course info was covered via email. I have been with the company before and was really happy with the structure." Do you want to improve the little things that make all the difference in advanced water? Get more from your boof. Drive the boat better in the run in to drops. 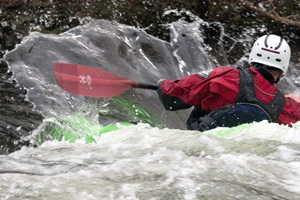 Improve your river reading to help you nail the line. 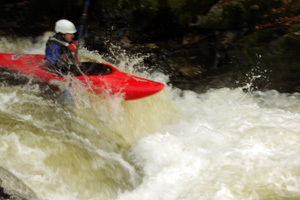 On our advanced white water course we work with you in the conditions you want and make you a better technical and tactical paddler. This course is for the grade 3/4 paddler with a pretty solid roll who wants to become smoother and more effective in advanced conditions. After a period of observation and analysis our staff will set out a programme for the duration of the course that will allow you to develop your skills. At this level the venue choice is extremely important. We will take you to a level where you will be challenged appropriately. If we feel we cannot get appropriate water levels in Cumbria then we might negotiate a change to Scotland or North Wales. 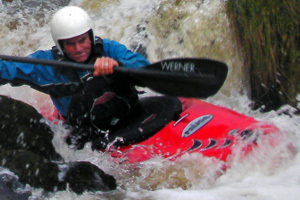 Wild River recommends that all customers take out personal insurance for the activity. We can tailor a course to your specific needs. If you cannot find the course you want or the date you need then please contact us and we will try to meet your needs.